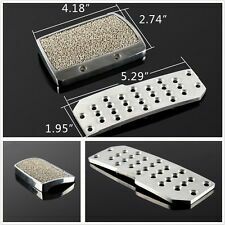 BMW Brake Gas Clutch Pedals Box Mount E34 E32. Pedals Mounting Box. 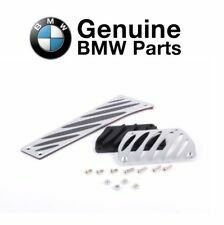 Quality New and Used BMW Parts. This is a used Original BMW part. BMW 3 Series. BMW 5 Series. BMW 7 Series. BMW 8 Series. This is the actual M5 foot rest, but it does not have M5 or M6 on it, rather the M Sport logo. ITEM: brake pedal w/o spring or master cyl, SMG. This is a used original BMW part. From 10/04 - 2010 M5 Sedan SMG ONLY (E60/S85). From 10/04 - 2010 M6 Coupe SMG ONLY (E63/S85). From 03/07 - 2010 M6 Convertible SMG ONLY (E64/S85). PULLED OFF A2006BMW E60 M5 SMG TRANSMISSION WITH 38K MILES. UP FOR SALE IS A COMPLETE GAS PEDAL ASSEMBLY. I HAVE MANY MORE PARTS FROM 2001-2006 E46 M3. 7 Series E32. 5 Series E34. All the mounting points are intact. This is a used original BMW part. ITEM: clutch pedal assembly. Production for the "model year" usually begins in September of the previous calendar year, so if you have a 1995 model BMW it will have been produced anywhere between 9/94 - 8/95. This footrest is available in one of the following plastic trims. The following color options are Gray (shown). M5 2000-2010. manual transmission. 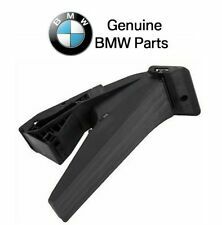 Up for sale a set of NEW original BMW gas and brake pedal pads. M3 2000-2012manual transmission. Fit manual transmission BMW. What you see is what you will get. 5-series 2000-2010. E90 325i 328i 335i 2006-2010. 545i 550i 528i 535i. M5 2006-2008. Good working condition. 2014-2018 M4 (F82/F83). 2016-2017 M5 (F10)(NOT FIT NEW M5 F90 2018 ). 2016-2019 M2 (F87). 2016-2019 M6 (F12/F13). Gas Pedal: There is no rubber on the gas pedal originally. Just put on the gas pedal cover directly from top to bottom. 1 - Accelerator Pedal Assy - Genuine BMW - 35411118210 New - Genuine BMW 35-41-1-118-210 / 35 41 1 118 210 / 35411118210 Accelerator Pedal Assy. 1 Series E88 Convertible (11/2006 thru 10/2013). 1 Series E82 Coupe (11/2006 thru 10/2013). 3 Series E93 Convertible (09/2005 thru 02/2010). 3 Series E93 LCI Convertible (11/2008 thru 10/2013). It is used in ACC.PEDAL/ACCELER. PEDAL ASSY-POTENTIOM. 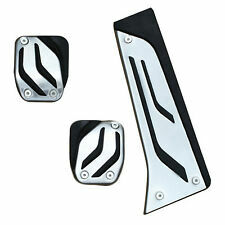 -- Accelerator pedal -- ACCELERATOR PEDAL/BOWDEN CABLE -- Accelerator pedal/bowden cable LHD -- Accelerator pedal/bowden cable RHD -- ACCELERATOR PEDAL/ROD ASSY --. 6' E64 (09/2002 — 07/2010). 6' E64 LCI (04/2006 — 07/2010). 5' E61 (10/2002 — 02/2007). 5' E61 LCI (11/2005 — 05/2010). 5' E60 (12/2001 — 12/2009). 5' E60 LCI (10/2005 — 12/2009). 6' E63 (05/2002 — 07/2010). It is used in ACC.PEDAL/ACCELER. PEDAL ASSY-POTENTIOM. 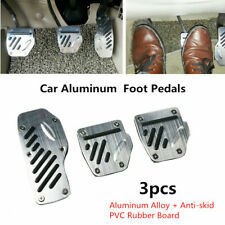 -- ACCELERATOR PEDAL/BOWDEN CABLE -- Accelerator pedal/bowden cable LHD -- Accelerator pedal/bowden cable RHD --. It is backed by BMW Manufacturer Warranty: 24000 miles or 2 years. Off a 2016 BMW M5 with low 16k miles. We want you to be 100% happy with your order. Both styles are interchangeable. The printed part numbers include : 6766931 and 6772646. This is a used original BMW part. ITEM: gas pedal, manual tall. Production for the "model year" usually begins in September of the previous calendar year, so if you have a 1995 model BMW it will have been produced anywhere between 9/94 - 8/95. 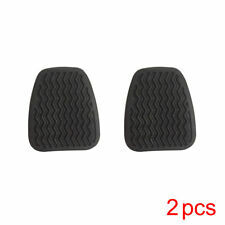 Bmw Pedal Cover Set E60/E60M5 Dinan. Condition is Used. Shipped with USPS First Class Package. I8 (I12) 2015-2019. M4 (F82/F83) 2014-2018. M5 (F10) 2016-2017 (NOT FIT NEW M5 F90 2018 ). M2 (F87) 2016-2019. M6 (F12/F13) 2016-2019. i3 (I01) 2014-2018. M3 (F80) 2014-2018. NO drill is required. I AM ALSO PARTING OUT 2013 BMW M5. Hawaii, Puerto Rico and Alaska. 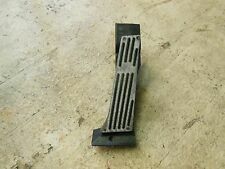 IS A FOOT BRAKE PEDAL PULLED OFF A2006E60 M5 SMG WITH 72K MILES. I HAVE MANY MORE PARTS FROM 2001-2006 E46 M3. It is used in ACC.PEDAL/ACCELER. PEDAL ASSY-POTENTIOM. 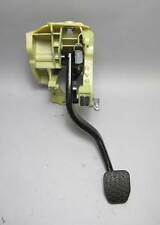 -- Accelerator pedal -- ACCELERATOR PEDAL/BOWDEN CABLE -- Accelerator pedal/bowden cable LHD -- Accelerator pedal/bowden cable RHD --. Coupe E24 M6 1987-1988. Part Number 35426766930. Year/Model 2005 BMW E63 645Ci. Help Coming Soon. along with the RMA number. Aurora, CO, 80011. Colorado Imports, Inc. Extended warranties available. No labor warranty is provided. Used gas pedal removed from a 2006 M5. TAKEN OFF: 2006 BMW E60 M5 with 45k miles. IMPORTANT FOR US. 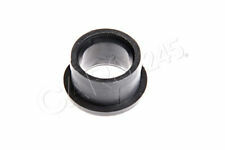 Item may show sins of wear, light scuffs, scratches or other imperfections as a result of this being a used part. All the parts are tested either before or after removal from the vehicle. 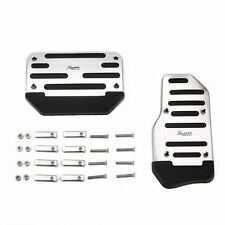 1 SET (1X THROTTLE & 1X BRAKE) OF AUTO TRANSMISSION PEDALS. REAL CARBON FIBER WITH ALUMINUM ALLOY. Made of high quality light weight real carbon fiber with aluminum alloy. FIT FOR MOST AUTO TRANSMISSION MODELS.